Talc companies have covered up the dangerous health effects of asbestos-contaminated talc and how it leads to cancers such as mesothelioma. Many of these companies, including Johnson & Johnson, are now facing numerous asbestos talcum powder lawsuits. Until recently, asbestos was the only mineral the public associated with mesothelioma. Public perception is changing to include talc, the softest mineral on the planet. Lawsuits involving cosmetics giant Johnson & Johnson have resulted in multimillion-dollar verdicts for mesothelioma plaintiffs who claimed exposure to asbestos-contaminated talc caused their cancer. Asbestos and talc are two minerals that naturally form together. These minerals are similar in composition and develop together over time. Deposits of talc are commonly contaminated with asbestos and asbestos-like fibers. Asbestos is known to cause mesothelioma, a cancer that forms primarily in the lining of the lungs or abdomen. In 1976, the Cosmetic, Toiletry and Fragrance Association (now the Personal Care Products Council) asked its members and the cosmetic industry at large to use only asbestos-free talc moving forward. However, no government regulations were created to ensure this measure was implemented. The Federal Food, Drug and Cosmetic Act of 1938 never required the government to test or review cosmetic products or their ingredients. The U.S. Food and Drug Administration (FDA) considers asbestos-contaminated talc unacceptable for use in cosmetics. But there are no U.S. laws prohibiting its use in cosmetics. The FDA can take action only if a product is scientifically proven to cause harm. Proving that a product contains asbestos-contaminated talc requires specialized testing. The U.S. Environmental Protection Agency (EPA) recommends a transmission electron microscope to detect asbestos. Lawsuits claim some cosmetic manufacturers have used less-advanced testing methods in an effort to hide the asbestos in their products. Some of these tests include X-ray diffraction and polarized light microscopy. Stay up to date on talc and asbestos-related content. Talcum powder and asbestos are associated with other cancers in addition to mesothelioma, including ovarian cancer and lung cancer. In 2011, the International Agency for Research on Cancer (IARC) reviewed scientific evidence and confirmed that asbestos exposure causes ovarian cancer. When the IARC reviewed scientific studies on talc and cancer in 2010, the agency found that perineal use of talcum powder is possibly carcinogenic to humans. A 2016 study published in Epidemiology found a 30 percent increased risk of ovarian cancer among women who used talcum powder. The risk was high among pre- and post-menopausal women on hormone replacement therapy, suggesting that estrogen may play a role in the association between talcum powder and ovarian cancer. But increased risk and causation are worlds apart. Research has proven that asbestos causes four cancers: Mesothelioma, lung cancer, laryngeal cancer and ovarian cancer. Research has suggested that talc exposure is associated with an increased risk of ovarian cancer and possibly lung cancer among talc miners. Different grades of talc are incorporated into a wide range of products. The main companies and the asbestos-contaminated products involved in the recent cosmetic-grade talc lawsuits include Johnson & Johnson’s baby powder, Colgate-Palmolive talcum powder and Imerys Talc America for supplying talc to J&J. Imerys and R.T. Vanderbilt Company Inc. are involved in an industrial-grade talc lawsuit over paint. Anyone diagnosed with mesothelioma who has no known history of asbestos exposure may have been exposed to talc. The majority of people with mesothelioma can identify when and where they were exposed to asbestos. 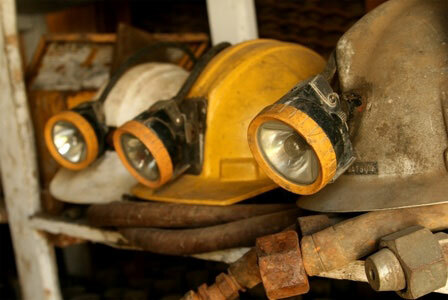 Most mesothelioma patients were exposed occupationally while working blue-collar jobs. Anyone who worked in insulation, construction, mining, industrial and factory jobs faced the highest risk of exposure. Some mesothelioma patients were exposed through a family member who worked with asbestos and unknowingly brought it home. This kind of exposure is known as secondary asbestos exposure. Those who develop mesothelioma with no prior asbestos exposure may have developed the cancer as a result of talc exposure. Talc companies have covered up the dangerous health effects of their products like asbestos product manufacturers covered up the effects of asbestos. Unsealed documents from the 1970s suggest that J&J knew asbestos was in their talc. These documents surfaced during a 2017 lawsuit filed by more than 50 women in St. Louis who claimed J&J’s Baby Powder caused them to develop ovarian cancer. A 1973 internal report acknowledged the presence of asbestos at J&J’s Windsor talc mine in Vermont. The report said J&J’s baby powder contained trace levels of two types of asbestos. 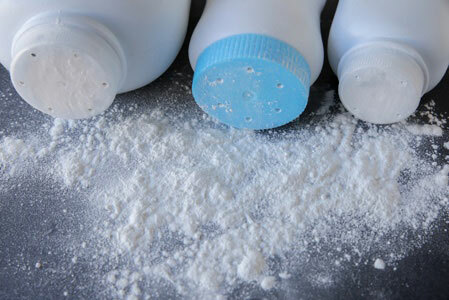 A J&J official in the report suggested using cornstarch in their baby powder instead of talc. A document from 1974 indicates the director of research and development at Windsor mine was aware of asbestos contamination. He recommended “the use of citric acid in the depression of chrysotile asbestos” to process talc extracted from the mine. “The use of these systems is strongly urged by this writer to provide protection against what are currently considered to be materials presenting a severe health hazard and are potentially present in all talc ores in use at this time,” the director wrote in the document. J&J also concealed their knowledge of asbestos-contaminated talc they bought from the Val Chisone mine near Turin, Italy. Documents revealed that a J&J research scientist convinced the mine’s owners to stop distributing the English version of a marketing booklet that referenced trace amounts of asbestos in the talc. “The business threat is that it can raise doubts on the validity of the documentation of purity and safety of talc,” the J&J scientist wrote. J&J continues to refute claims that its products contain asbestos. On Feb. 9, 2018, shareholders who purchased J&J securities between 2013 and 2018 filed a class action lawsuit against J&J. The lawsuit seeks to recover damages for alleged violations of federal securities laws. It claims that J&J knew its talc contained asbestos fibers and that exposure to those fibers causes mesothelioma and ovarian cancer. A class-action lawsuit was filed in 2017 against BASF and its attorneys claiming they hid and destroyed evidence of asbestos contamination at a talc mine in Vermont. Germany-based BASF acquired the mine and its liabilities in 2006 when it bought out Engelhard Corporation, the mine’s original owner. In 1983, Engelhard settled a lawsuit involving asbestos at the mine. Officials from Engelhard testified in depositions that the company knew asbestos was in the talc and tried to hide the evidence. Evidence was sealed upon settling, and Engelhard and its attorneys claimed in future lawsuits for more than two decades that the company’s talc was not contaminated with asbestos. In addition to the class-action lawsuit, another lawsuit filed in New Jersey seeks to force BASF to reveal dozens of documents about their talc. BASF claims these documents are confidential. Questions about this story, talc, asbestos or talc litigations? Email Michelle for more information and stay updated. These kinds of talc lawsuits have been underway for at least two decades. The first lawsuit involving industrial talc exposure and mesothelioma was filed in 2006. Multimillion-dollar verdicts have been awarded in these cases. The following list of asbestos-talc cases represents a selection of legal cases across the United States. Ongoing cases will be updated monthly, and new cases will be added as they are filed. Twenty-two women claim J&J’s talc products caused them to develop ovarian cancer. Imerys, which supplied the talc to J&J, settled in June 2018 for an undisclosed amount. People familiar with the case said the settlement is close to $5 million. A California jury awarded $21.7 million to a woman who said she developed mesothelioma as a result of using J&J’s baby powder. A New Jersey court jury awarded $117 million to a man who said he developed mesothelioma after using J&J’s asbestos-containing talcum powder. Colgate-Palmolive avoided a trial with an undisclosed settlement to plaintiff Carol Schoeniger, who claimed she developed mesothelioma after using Cashmere Bouquet for 20 years. A California jury awarded $13 million to a woman who said she developed mesothelioma after exposure to Colgate-Palmolive’s Cashmere Bouquet talcum powder. Imerys supplied the talc used in Cashmere Bouquet. Vanderbilt Minerals and Imerys Talc America Inc.
A California jury awarded $22 million to the estate of a man who died from mesothelioma after exposure to asbestos-containing talc used to make paint. The jury heard testimony from Imerys executives that revealed the company had mixed its talc to hide the asbestos content. Recent reports of asbestos-contaminated talc in children’s toys, crayons and makeup have consumers alarmed. These products were not intended to contain any asbestos, but the talc in them was contaminated. An investigation by Durham, North Carolina-based WTVD-TV in July 2017 found asbestos in children’s makeup sold by Justice, a retail chain that markets to young girls. Justice voluntarily recalled eight of its cosmetic products later that year. In December 2017, a lab found tremolite asbestos in children’s makeup products sold by Claire’s, a jewelry and accessory retailer that markets to kids and teens. Asbestos was found in other Claire’s makeup products in March 2018. The company filed for bankruptcy on March 19, 2018, to restructure its debt. In March 2019, the FDA confirmed the presence of asbestos in the three Claire’s products tested in 2018. The company later issued a recall of the products. “Out of an abundance of caution, we have removed the three products identified by the FDA from our stores, and are also removing any remaining talc based cosmetic products,” the retailer said. Tests commissioned by the Environmental Working Group Action Fund (EWG) in 2015 found asbestos in children’s toys and crayons. Tremolite and chrysotile fibers were found in four brands of crayons and two amateur crime-scene kits. The Asbestos Disease Awareness Organization commissioned tests in 2007 that revealed asbestos in children’s clay and a toy fingerprint kit named after the television series CSI: Crime Scene Investigation. Exposure to asbestos-contaminated talc through these kinds of products could result in adverse health effects. Children exposed today may become ill later in life because of the long latency period associated with asbestos-related diseases. U.S. Food & Drug Administration. (2019, March 5). Statement from FDA Commissioner Scott Gottlieb, M.D., and Susan Mayne, Ph.D., director of the Center for Food Safety and Applied Nutrition, on tests confirming a 2017 finding of asbestos contamination in certain cosmetic products and new steps that FDA is pursuing to improve cosmetics safety. U.S. Food & Drug Administration. (2019, March 5). FDA Advises Consumers on Claire’s Cosmetic Products. Fisk, M. (2018, June 3). Imerys Unit Said to Settle Talc Case for at Least $5 Million. Camargo, M.C. et al. (2011). Occupational Exposure to Asbestos and Ovarian Cancer: A Meta-analysis. IARC. (2010). IARC Monographs Volume 93. Cramer, D.W. et al. (2016) The Association Between Talc Use and Ovarian Cancer: A Retrospective Case-Control Study in Two US States. Healthy But Smart. (2018, May 3). Does Baby Powder Increase Ovarian Cancer Risk By 33%? Kirsten B. Moysich. (2017, September 30).What’s the Deal With Talcum Powder Use and Ovarian Cancer Risk? Feeley, J., Fisk, M.C., & Hopkins, J.S. (2017, September 22). Johnson & Johnson alerted to risk of asbestos in talc in '70s, files show. PR Newswire. (2018, February 9). SHAREHOLDER ALERT: Bronstein, Gewirtz & Grossman, LLC Notifies Investors of Class Action Against Johnson & Johnson (JNJ) & Lead Plaintiff Deadline: April 9, 2018. Voreacos, D. & Feeley, F. (2015, September 8). BASF Case Shows How Liabilities May Emerge Long After Acquisition. Harris Martin Publishing. (2017, December 13).Calif. Jury Awards $22.17 Million at Conclusion of Asbestos Talc Trial Against Imerys Talc, Vanderbilt Minerals.